MSCI's new methodology to treat foreign ownership limit (FOL), if implemented, may trigger an outflow of $850 million from the Indian equity markets, says a recent India Strategy Report by Morgan Stanley. That apart, the foreign brokerage house expects 12 stocks, including blue-chips GAIL, ITC, Larsen & Toubro (L&T) and Dr Reddy's to see a significant weight reduction in the index. In a recent consultation paper, MSCI has proposed to change the FOL treatment methodology for India. At present, MSCI calculates FOL using the foreign portfolio investment (FPI) limit. They define the FPI limit to the extent up to which foreign portfolio investors can invest in any Indian company. However, going forward MSCI proposes not to include DRs (depository receipts) in the calculation of the FOL in India. 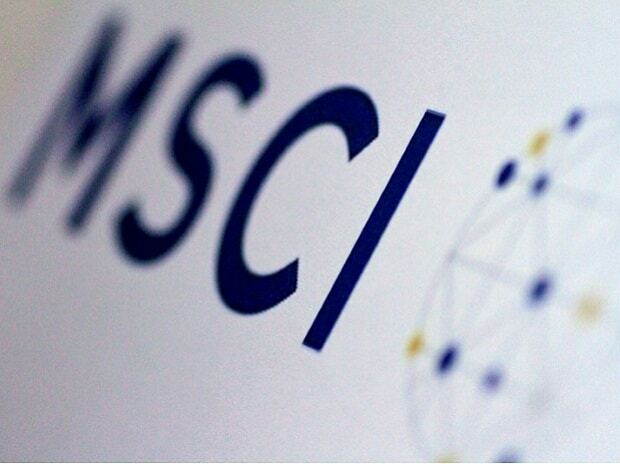 MSCI is likely to announce the results of the consultation by March-end. "If implemented, India's already low foreign inclusion factor (FIF) will reduce from 0.38 to 0.37. In addition, the potential weight reduction in stocks will lead to India's aggregate weight falling by about 25 basis points (bps), which implies outflows of $850 million", says Ridham Desai, head of India research and India equity strategist in the co-authored report with Sheela Rathi. At the stock level, three companies - GAIL, ITC and L&T would account for almost two-thirds of the likely outflows. Data-wise, current foreign inclusion factor of ITC stands at 0.28 and its current weight on the index is 3 per cent. If the changes are implemented, its weight in the index will dip by 0.4 per cent to 2.7 per cent and the stock can see an outflow of $105 million.